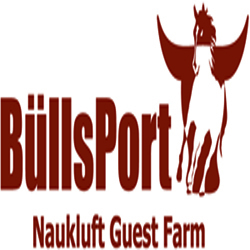 The guest farm BuellsPort is situated 235 km south-west of Windhoek at the foot of the magnificent Naukluft Mountains. 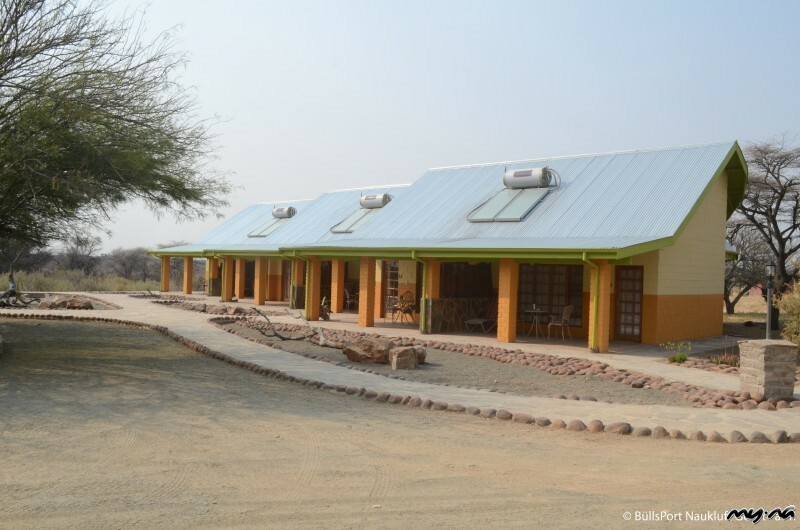 The owners Ernst and Johanna Sauber and their team are happy to welcome you on the 10.000 ha family run cattle and horse breeding ranch, which is one of the oldest farms in Namibia. 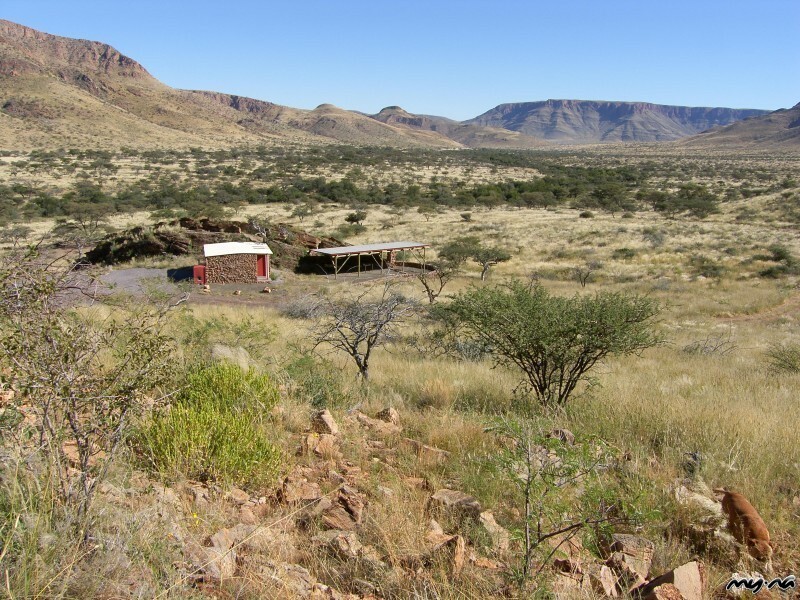 Staying here offers you the perfect insight into a real Namibian farm life and the farm is an ideal base for different activities in the stunning and unique landscape. 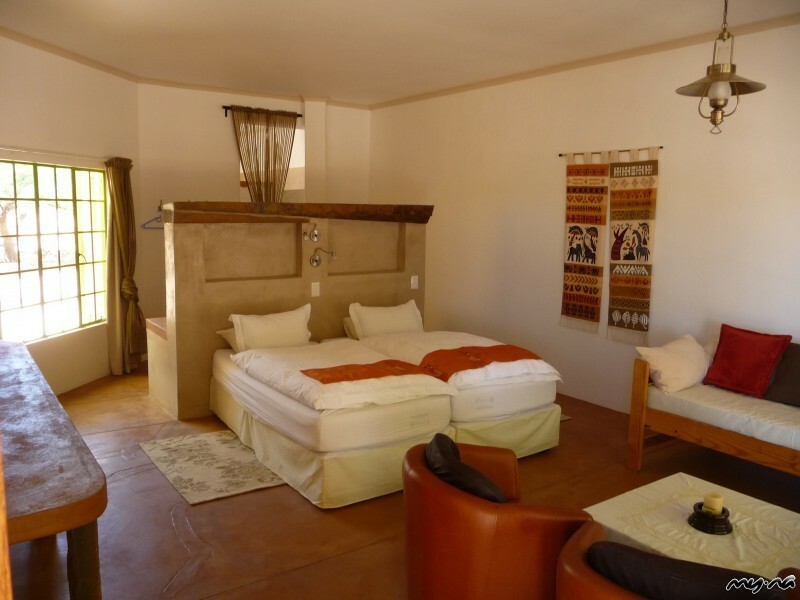 BuellsPort offers comfortable accommodation in 14 newly refurbished, air-conditioned luxury rooms as well as two campsites in private wilderness. A sparkling pool, a library and a lounge invite you to relax. Meals are served »table d'hôte« style, where everyone – including the hosts – sit at one large table exchanging the adventures of the day and getting answers to all burning questions that are there. 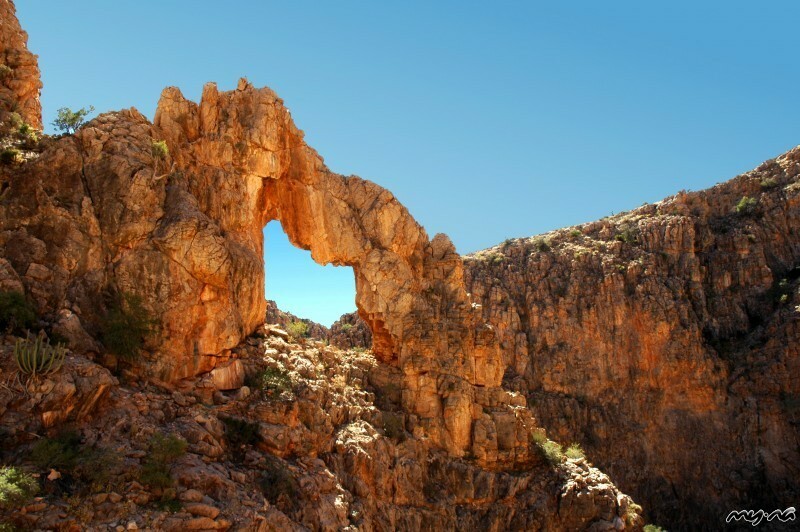 BuellsPort is an excellent place for extensive hiking, especially to the unique Naukluft mountains. 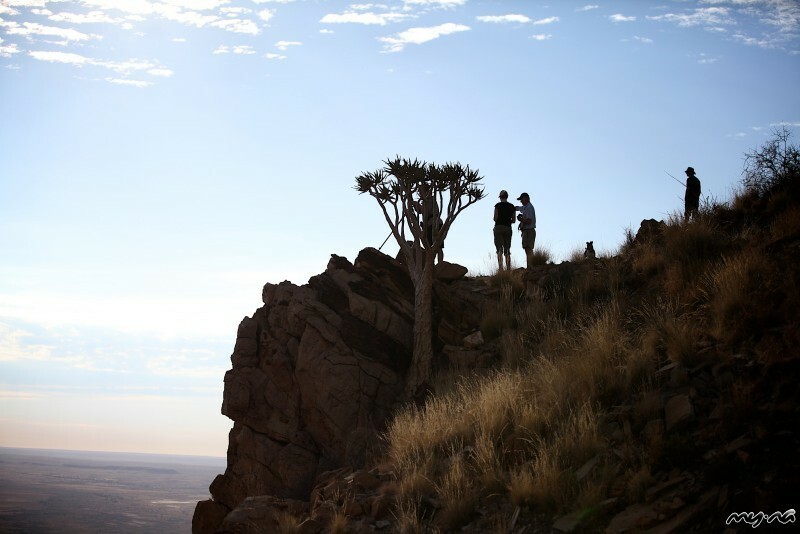 The Quiver tree gorge excursion takes the nature lover up to the top of the Naukluft plateau, followed by a hike through the largest fountain gorge with refreshing natural pools. 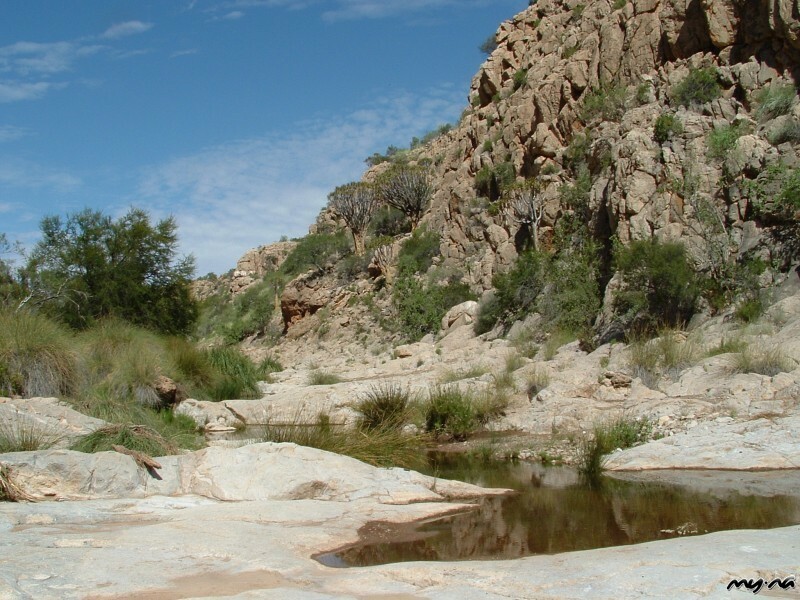 The Sossusvley Dune Area can be experienced during a day excursion. 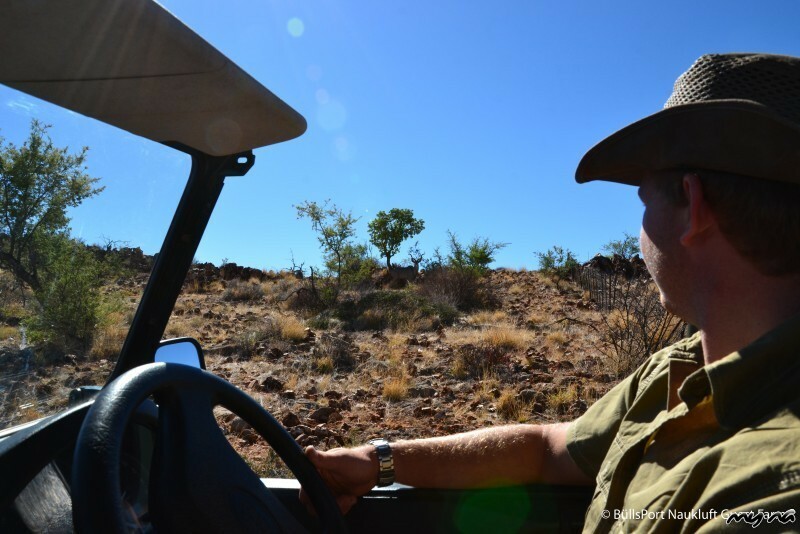 On the farm drive you experience how a Namibian farm works. 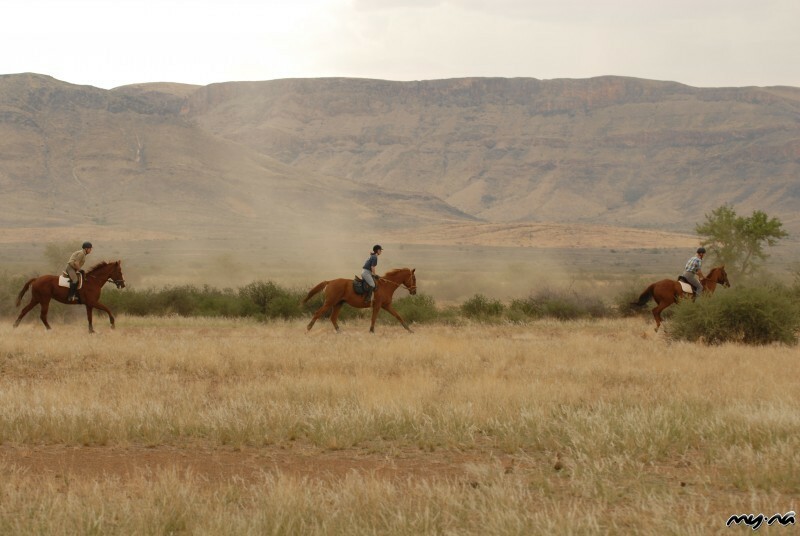 Horseback Safaris for beginners and experts are a must for those who want to get close to the game and discover the scenery from a new perspective (book in advance is must). 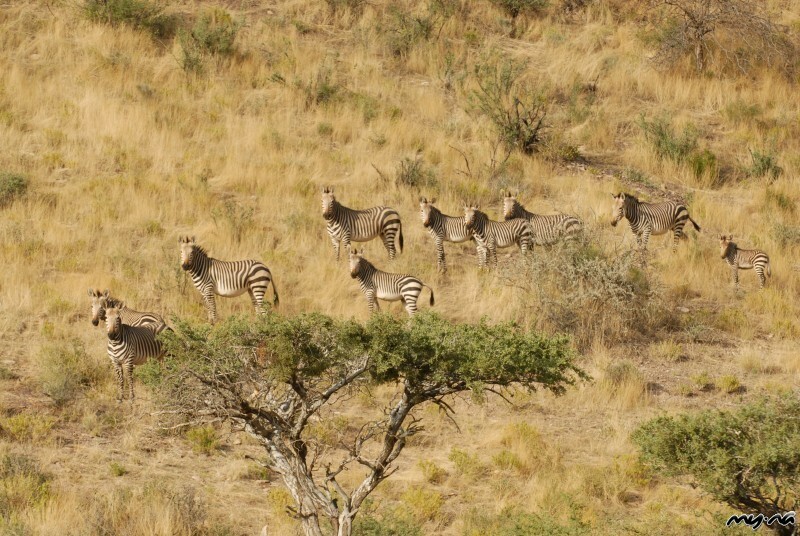 BuellsPort is located 50 km south of Solitaire on the C14 and approximately 250 km southwest of Windhoek. 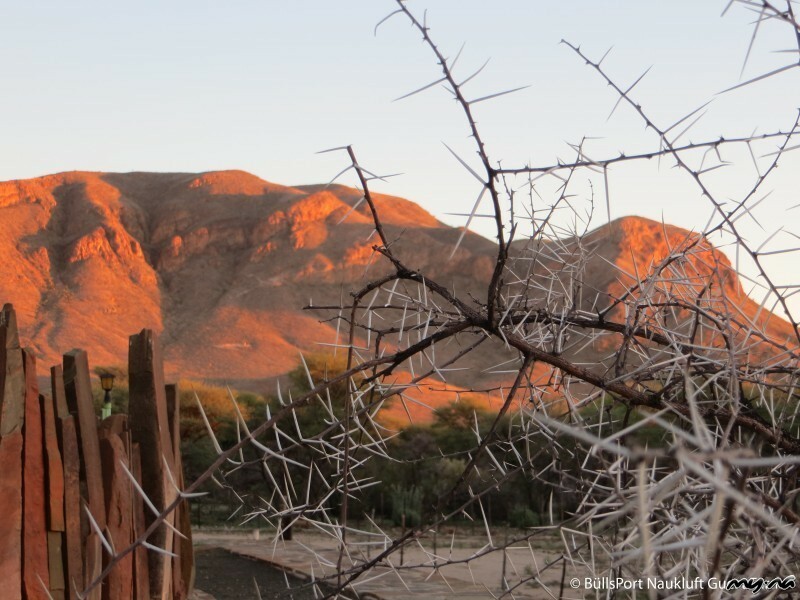 To Sesriem (Sossusvlei) it is about 120 km.